A holy man goes on eating hot chillies like sweets to prove that he is above sensation. 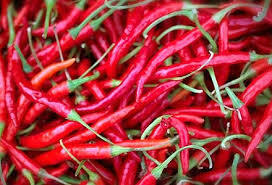 He also offers some of the chillies to the audience and when they eat they find them very hot. Method: Unless food gets dissolved in saliva, absorbed by the taste receptacles, and that your tongue and mouth is fully coated with olive oil. Then when you eat chillies, they are not directly in contact with your saliva and the taste receptacles. So you do not have the burning sensation in the mouth.